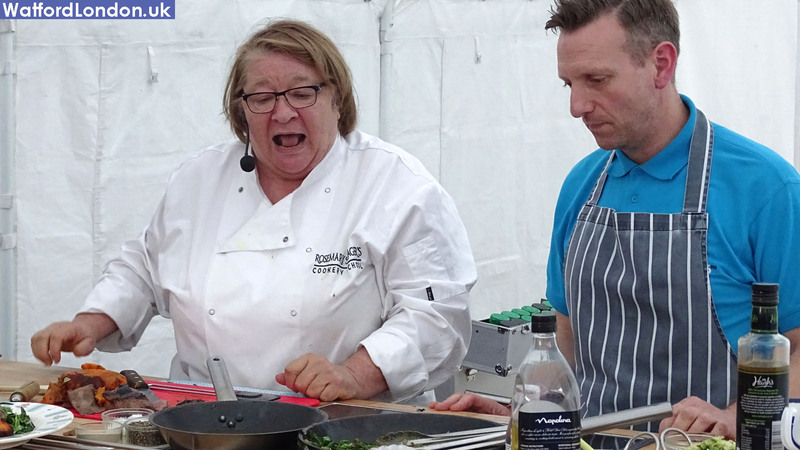 Celebrity Chef Rosemary Shrager in Watford as part of the official New Watford market opening. Offering her culinary tips and tricks to Watford shoppers who also enjoyed her funny banter. She says why she loves cooking. And tells of her favourite home meal and how to cook it. 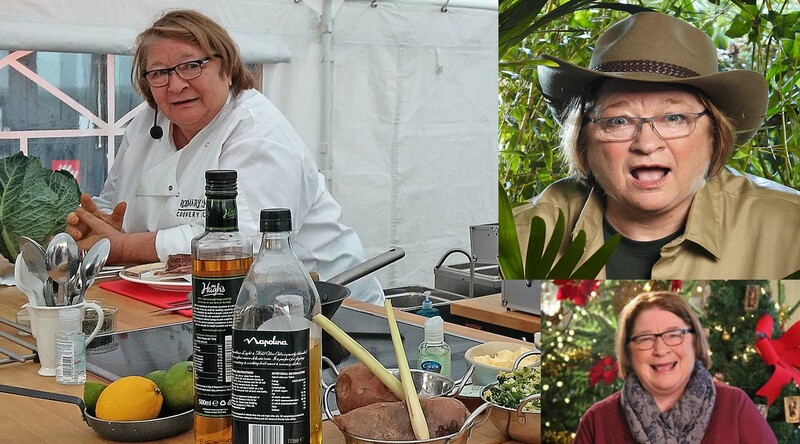 Best known for being an haute cuisine teacher on the reality television programme Ladette to Lady, and as a judge on Soapstar Superchef. She also made an appearance on the reality TV show 'I'm a Celebrity, Get Me Outta Here! '.